Remember when you first took a course or read a blog post about how to use, say, social media to get attention in your market? A good majority of the information these days talks about how you can gain more followers and then send them to your website and turn them into customers. And a good majority of THAT advice is followed with “just be interesting and share a lot of great stuff.” Then the expert generally pats you on the behind and sends you off to build a following on social…or grow an email list…or gain more search engine rankings. Almost no one talks about the fact that there are people in every market who have already sweated it out to the oldies with this advice. Why re-create all that expense and energy yourself? They’ve already built large networks of targeted followers of their blogs, social profiles and pages, and have created large email lists. People who are just perfect for you to get in front of (Today!) and share your awesomeness! 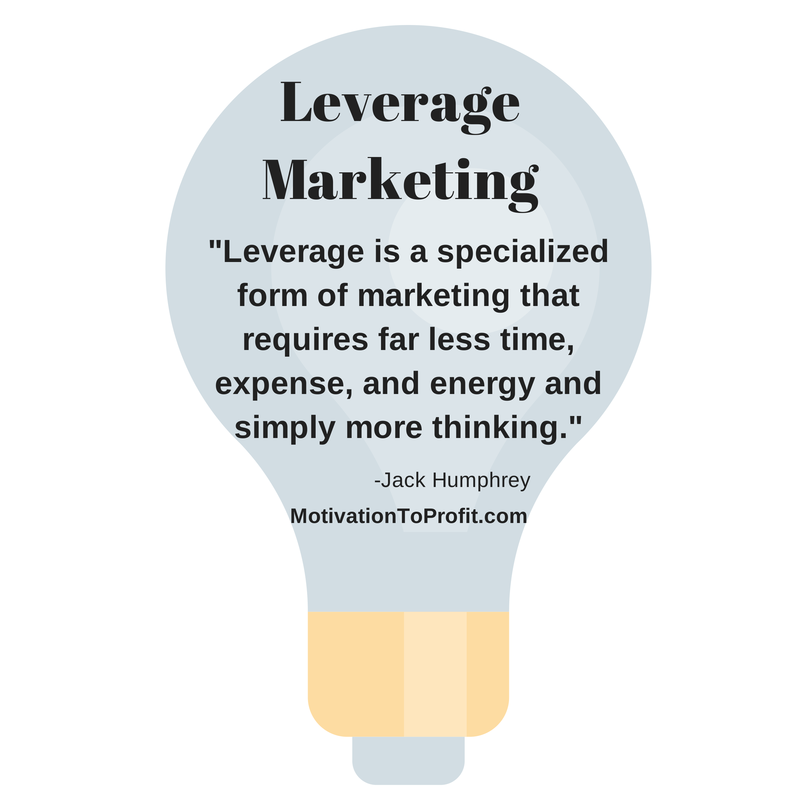 Leverage is a specialized form of marketing that requires far less time, expense, and energy and simply more thinking. I don’t know about you, but I don’t mind a little thinking if it can replace years worth of toil and trouble building a business the traditional way! How? You bring a big Win to the authorities in your market and to their audience as well. You make a Win-Win-Win proposition of service for their audience, them, and you. That’s all it takes to get a thought leader on your side and get them to place you right smack in front of their hard-won, loyal fan base! Share your experience with leverage tactics in the comments below! Let’s have a chat about the power of leverage in growing your business faster! Leverage marketing is what we specialize in at Directions University. And it all starts in our “Motivation To Profit” training. You should check it out for free and see if you can’t save yourself some serious time and energy and grow your business faster!